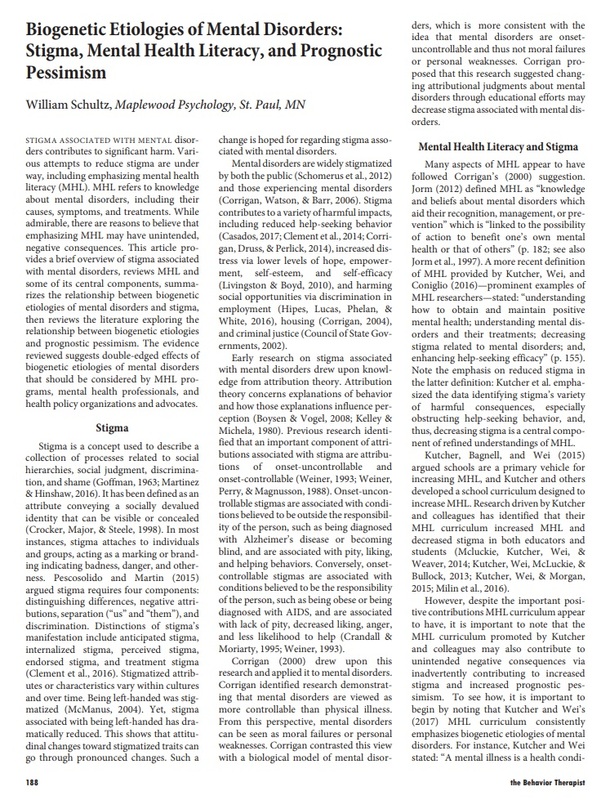 My research has been published in peer-reviewed journals including The Behavior Therapist, Ethical Human Psychology and Psychiatry, the Journal of Humanistic Psychology, the Journal of Feminist Family Therapy, Reason Papers, and referenced in journals such as the Journal of Obsessive-Compulsive and Related Disorders, the American Journal of Medical Genetics, Written Communication, and the Journal of Medical Education and Curricular Development. Schultz, W. (2018). 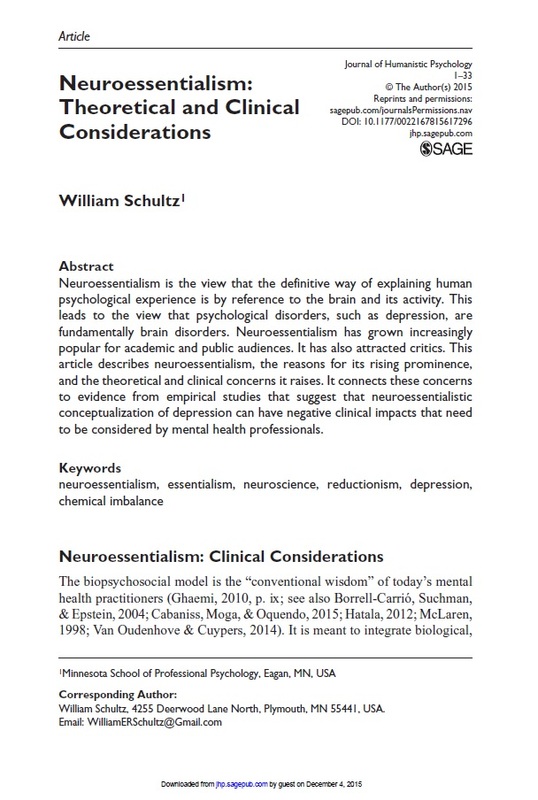 Biogenetic etiologies of mental disorders: Stigma, mental health literacy, and prognostic pessimism. the Behavior Therapist, 41(4), 188-194. Schultz, W. (2017). 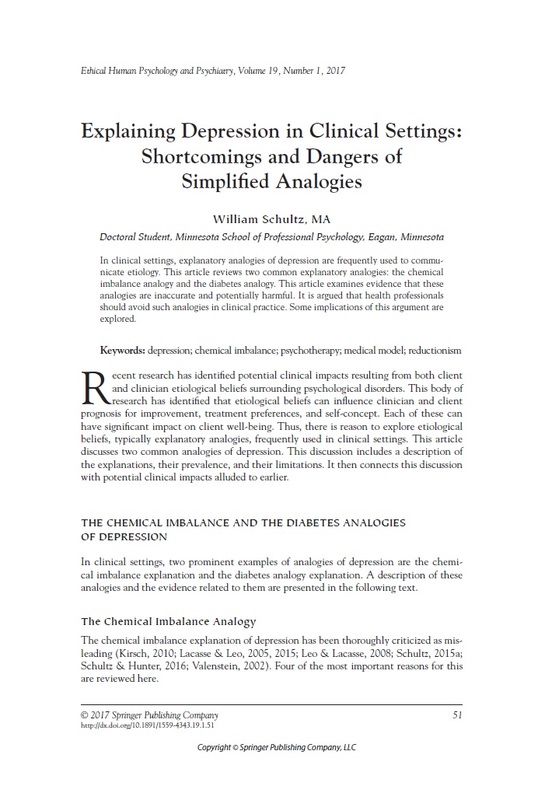 Explaining depression in clinical settings: Shortcomings and dangers of simplified analogies. Ethical Human Psychology and Psychiatry, 19(1), 51-64. Schultz, W. & Hunter, N. (2016). 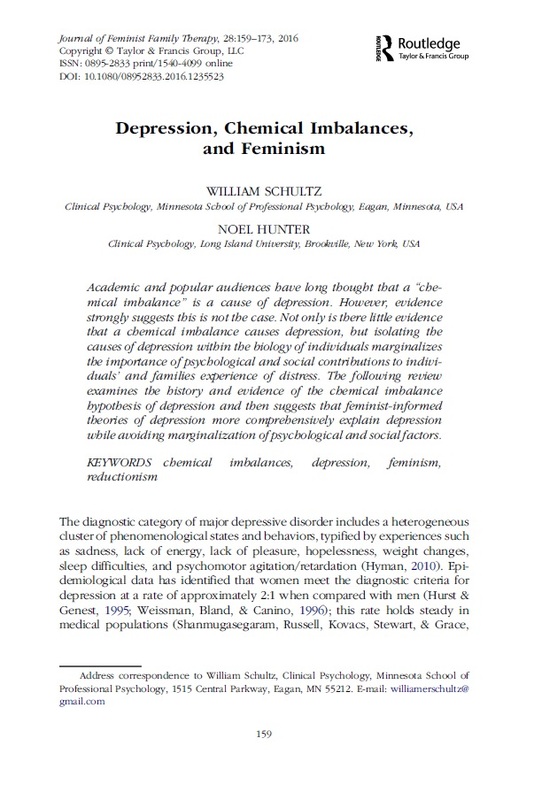 Depression, chemical imbalances, and feminism. Journal of Feminist Family Therapy, 28(4), 159-173. Hunter, N. & Schultz, W. (2016). 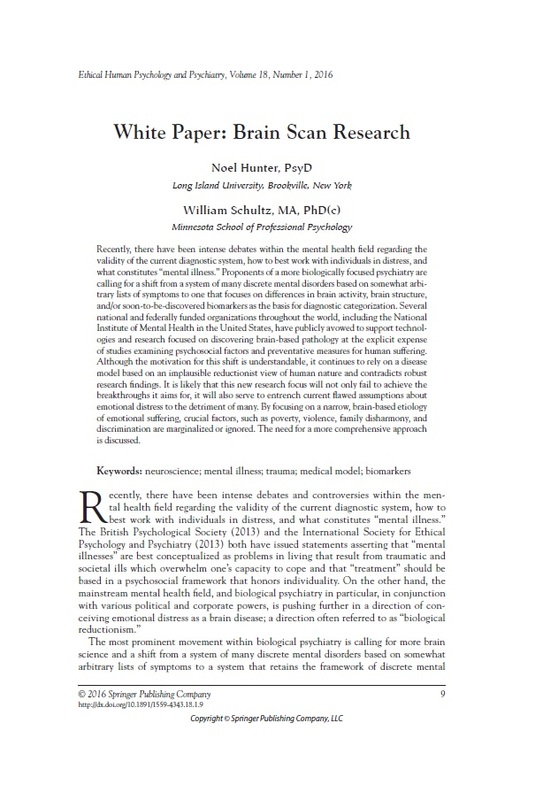 White paper: Brain scan research. Ethical Human Psychology and Psychiatry, 18(1), 9-19. Schultz, W. (2016). Child-centered play therapy. Reason Papers, 38(1), 21-37. Schultz, W. (2015). 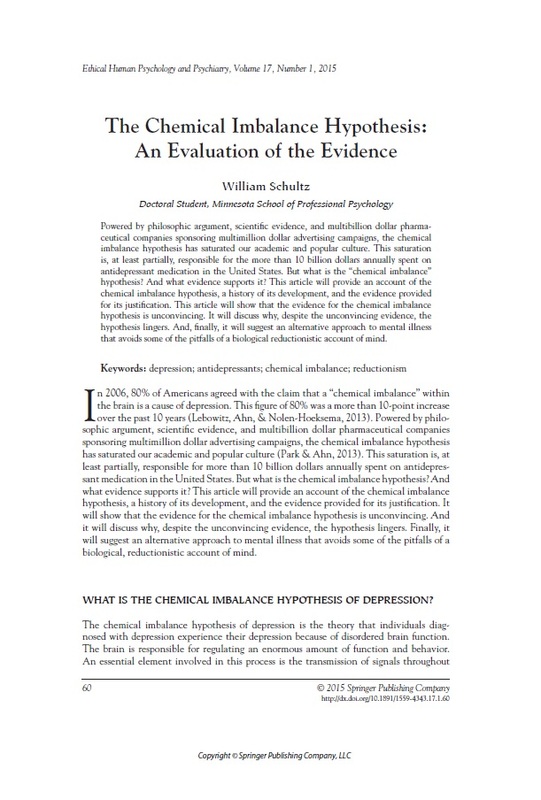 The chemical imbalance hypothesis of depression: An evaluation of the evidence. Ethical Human Psychology and Psychiatry, 17(1), 60-75.